I love the performances even more than the multiple-perspective conceit, how Mifune goes from devil-may-care trickster thief to pathetic coward, the wife from tormented crying victim to cold duel instigator. Three points of view including the dead husband’s through a medium, then a fourth version from a witness woodcutter, then he’s also revealed to be a liar/thief, having stolen a valuable dagger from the crime scene, and all this causes the local priest to despair until his faith is restored by the woodcutter adopting a baby that was apparently abandoned at the temple while they were telling crime stories. The priest’s bit is overdone, rest of the movie is perfect. Watched on the big screen at Alamo with my Katy. Won top prize at Venice against Diary of a Country Priest, Renoir’s The River, Ace in the Hole, Born Yesterday, A Streetcar Named Desire, and Disney’s Alice in Wonderland, and won different oscars in two consecutive years, since their rules used to be even stupider than they are now. 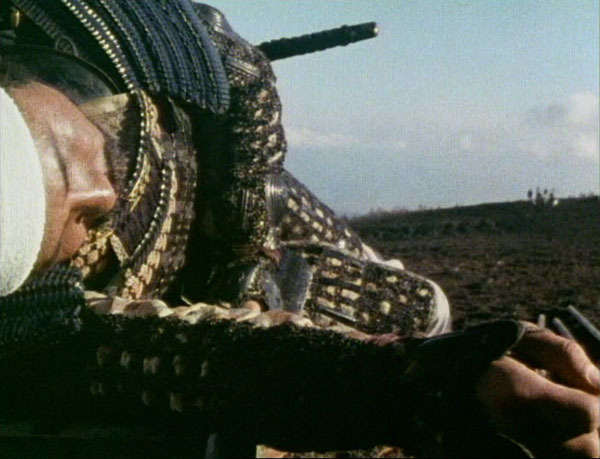 This was Toshiro Mifune’s fifth Kurosawa film, and his breakout role to the Western world. The wife Machiko Kyô starred in Gate of Hell, the dead husband Masayuki Mori in Ugetsu, and the medium Noriko Honma in each of Kurosawa’s final three films. Toshiro Mifune is Kingo, an executive plotting to take over his company and force out the board who wants to make inferior products for higher profit – so he’s set up as one of the good rich guys. In the city below, in the shadow of Kingo’s ostentatious house atop a hill, a medical intern doesn’t see the goodness, just the richness, kidnaps Kingo’s son and demands millions in ransom. Turns out the kidnapper got the chauffeur’s son by mistake, but still insists on his ransom, and Kingo pays it, becoming a media hero. Meanwhile, Detective Tokura (Tatsuya Nakadai, star of Harakiri) is hot on the case with his team tracking the kidnapper, going way further than Stray Dog into the lower depths of the city, culminating in a grimy alley full of strung-out addicts, where kidnapper Takeuchi (Tsutomu Yamazaki, later of Tampopo and Farewell to the Ark) kills a woman with a knockout dose of uncut heroin, a test for his plan to get rid of his accomplices. Few visceral thrills, mostly a slow and methodical investigation, leading to an ambiguous ending – the kidnapper/killer providing no clear answers, and Mifune starting over (not exactly, but it’s starting over from a rich guy’s perspective) with his own small business. Based on an American pulp crime novel. Bernstein gave a good intro and Q&A, and G. O’Brien has a nice long Criterion essay. The pink smoke—the only burst of color in a black-and-white film—marks the moment when the film definitively descends from heaven to hell, the point of entry being a dump that burns “everything that can’t be disinfected.” This is the juncture when those above finally take notice of the life below them, even if only in the form of burned evidence. Those below, on the other hand, could always see what was above them. 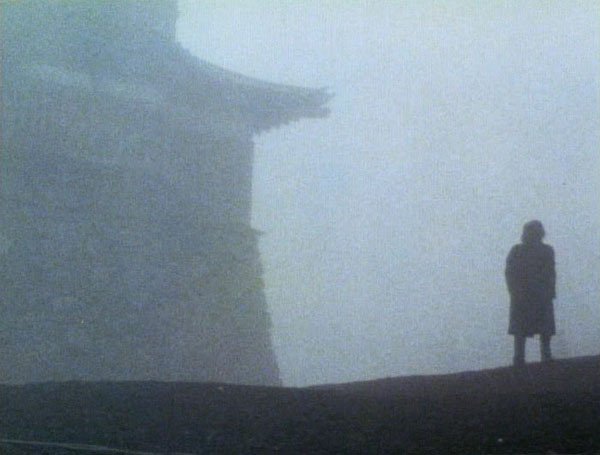 “From down there,” as the inspector notes on his arrival in Gondo’s apartment, “if he’s got a telescope, the kidnapper can see this entire room.” The kidnapper, then, has possessed from the beginning the same power as Kurosawa’s camera: to command space and find every hiding place within Gondo’s seemingly impregnable aerie. To hide from those eyes, even the police are forced to crawl on the floor. 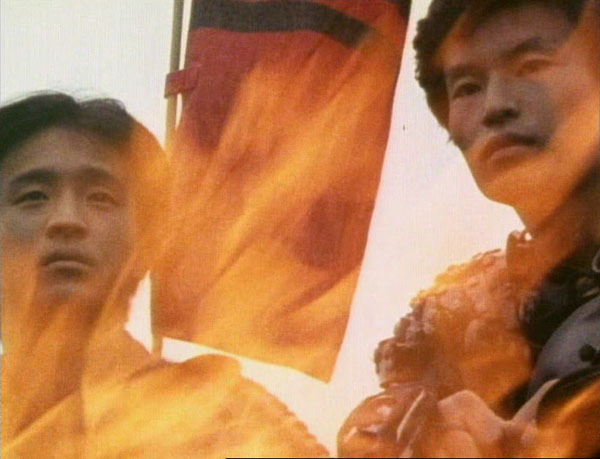 There’s a reason why this is the first Kurosawa movie on this site (and therefore the first I’ve watched in almost four years). After excitedly renting The Hidden Fortress, which I didn’t like, and Ikiru, which I did, I decided Akira was overrated and instead focused my attentions on Kiyoshi Kurosawa (no relation). Lately I’ve been greatly enjoying celebrated studio auteurs like John Ford, who make slow-paced movies without any spider-people, doppelgangers, magic trees, computer-virus apocalypses or killer jellyfish at all, so maybe it’s time to revisit A.K. A.K. follows his protagonist around the city, meeting shady characters in seedy parts of town, taking the camera out of the studio and bringing it along, influenced by the incompatible styles of film noir and neorealism. It’s a similar approach to The Naked City, and in a similar timeframe. I’d say Naked City was more successfully scenic, showed better city views, but Kurosawa did more with his less-than-stellar scenery. 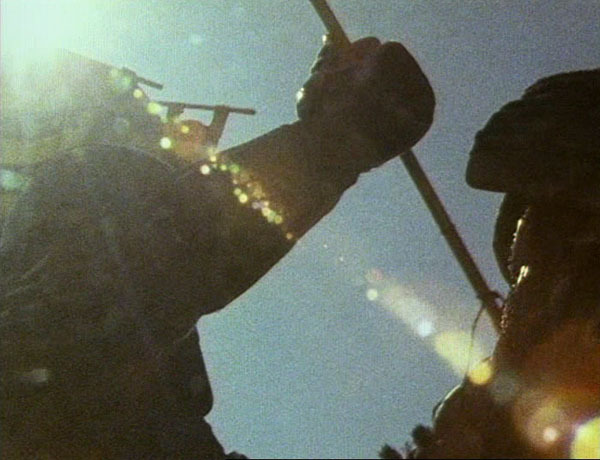 His mastery of camerawork, if not of pacing, shows up here. At least the title character, the “stray dog”, is clearer than in The Thin Man – it’s Yusa, a small-time thief turned murderer with the help of detective Murakami’s pilfered pistol. The point is made again and again that Y. & M. came from similar backgrounds and befell similar fates until M. turned cop and Y. turned robber, leading to a climax of the two men fighting in the mud, dirty and interchangeable (not really, since Y. is wearing an unmistakable white suit by then). The other parallel is between M. as idealistic young cop with the weight of the world on his shoulders and elder cop Sato, with his burned-out black-and-white view of humanity. 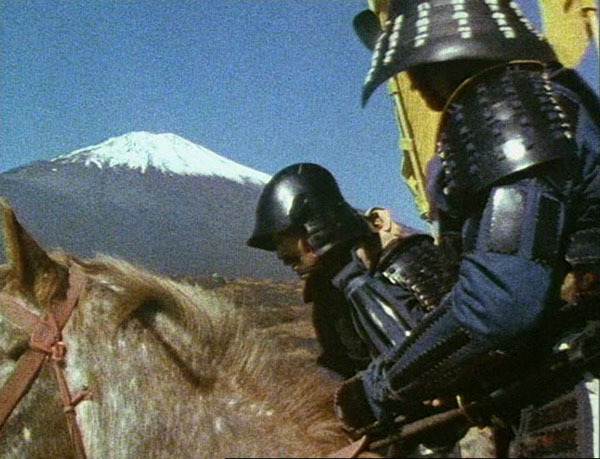 None of this is anything new by 2010 standards, but it may have seem fresh in ’49, and Kurosawa presents the ideas as if they’ve just occurred to him. By the end I couldn’t keep up my “ho-hum, Kurosawa” stance, was hooked by the style and story of the final third, featuring cross-cutting between Murakami’s bizarre interrogation of Yusa’s girl Harumi (with her mother in the room trying to help the cop) and Sato tracking down the killer in a hotel, as the oppressive heat of the last few days broke into a rainstorm. Thanks to Emory for showing this on 35mm, though it features the kind of harsh, blaring music that always sounds better softened by my TV or laptop speakers than it does cranked loudly in a theater. Only the 7th listed film with superstar Toshiro Mifune (Murakami). Elder cop Takashi Shimura, with his giant Edward G. Robinson lips, was in 200+ films from Mizoguchi’s 1936 Osaka Elegy to Kurosawa’s 1980 Kagemusha, with some Zatoichi and Godzilla films thrown in, plus Kwaidan, Life of Oharu, and the lead role in Ikiru. Stolen-gun-toting Yusa is Isao Kimura in his first film – he’d appear in a bunch of Kurosawa films, the Miyamoto Musashi trilogy, Naruse’s Summer Clouds and Fukusaku’s Black Lizard. Harumi, Keiko Awaji, was in When a Woman Ascends the Stairs, and her mother Eiko Miyoshi would play scores of mothers in Japanese films, finally a grandmother in Ozu’s Good Morning. 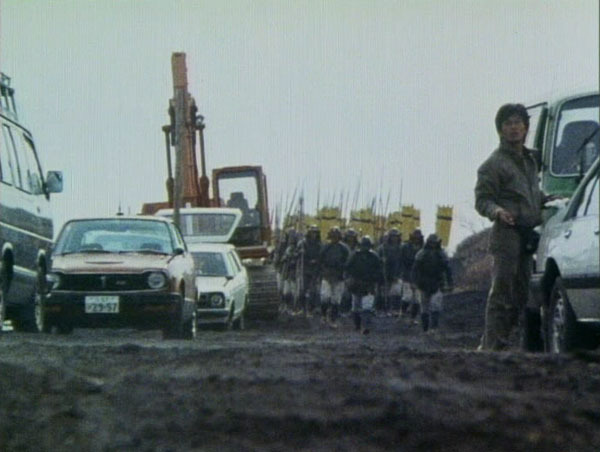 Movie was remade in cinemascope in the 70’s with the stars of Tokyo Drifter and Red Angel. I tried to draw comparisons with the missing-police-gun stories in Magnolia and The Wire but could not manage to do so. 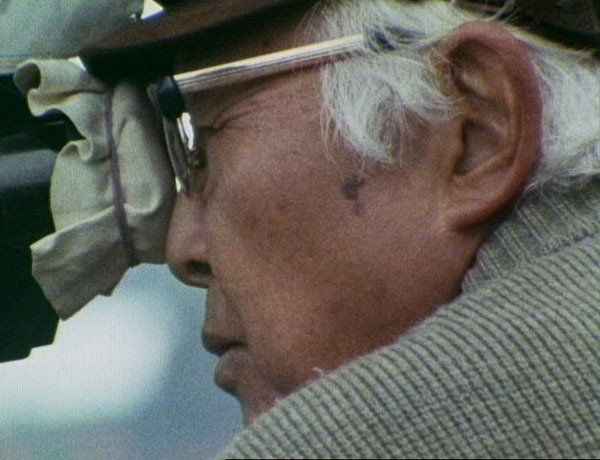 Through the constant unfurling of interposed surfaces (multiple superimposed images, the strips of mesh and garlands down which the camera cranes at the Wellesian Blue Bird club), Kurosawa evokes a world in perpetual motion. The sequence in Stray Dog in which Murakami goes undercover in the streets of Tokyo to look for the gun lasts slightly over nine minutes—much longer than necessary to advance the plot and convey that his search goes on for some time. The feeling of excessive length comes from the lack, or the randomness, of variation: the viewer’s main impression is the ever-dawning awareness that the sequence has nothing new to give. 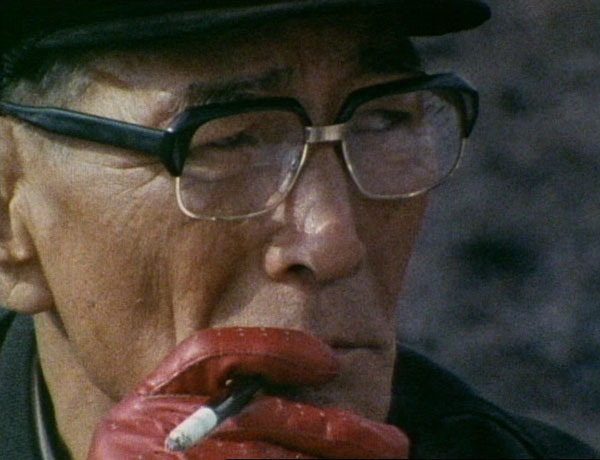 Kurosawa’s intention is to heighten our identification with Murakami as he slogs through the lower depths. By immersing us in the world’s chaos so thoroughly, the director makes us rely all the more on Murakami’s obsession as a potential source of meaning and order, while at the same time showing how inadequate it is to pose the problem of this chaos in the specific terms of a missing gun. Murakami poses as a down-and-out veteran, which turns out to be an uncomfortably thin disguise: he is a veteran of the recent war, and as he wanders through the ravaged city, in an elaborate montage sequence, we sense that he’s experiencing a life he might have led—that these mean streets are, for him, a collective image of the road not taken. 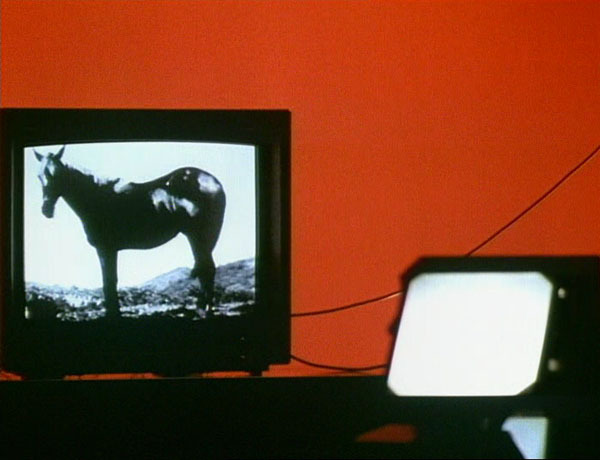 That sequence, which incorporates a fair amount of documentary footage shot by Kurosawa’s assistant Ishiro Honda (later famous as the director of Godzilla and Rodan), is much longer than it needs to be, but it’s the key passage in Stray Dog because it sets in motion the film’s real story: Murakami’s growing identification with the man who now possesses his gun. 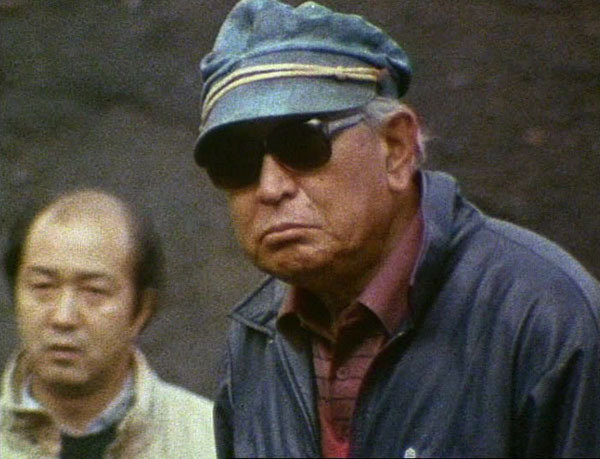 Behind the scenes on Akira Kurosawa’s Ran. I didn’t believe the hype that this would be one of Marker’s best films, but the hype was right! Gorgeous movie, more following general daily activity on-set than Kurosawa himself, to the great annoyance of the IMDB reviewers. Besides CM, praise to cameraman Frans-Yves Marescot (no other credits) and the great Tôru Takemitsu whose music is used extensively. Movie was shot around Mt. Fuji, but apparently the mountain isn’t seen in Ran. Fallen warrior, or an extra taking a nap? “The sensei is he who, by achieving technical perfection, has got a sort of spiritual bonus out of it. The aura of respect that surrounds and protects Kurosawa is nothing like the reign of terror that some lesser directors impose on the set. And just like the great sword masters of the past, sensei has no time for abstraction. When he speaks of his work he reflects on factual experiences. When asked why he did this or that he says “I simply make a film as I want it to be”.